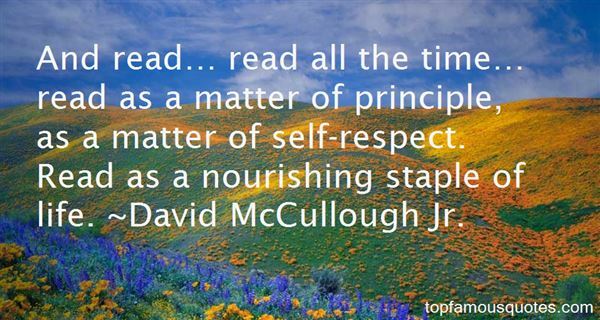 Reading and share top 3 David McCullough Jr famous quotes and sayings. Browse top 3 most favorite famous quotes and sayings by David McCullough Jr.
1. 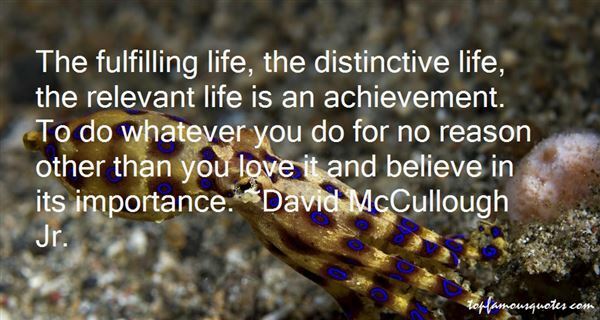 "The fulfilling life, the distinctive life, the relevant life is an achievement. To do whatever you do for no reason other than you love it and believe in its importance." ~ David McCullough Jr.
2. "And read… read all the time… read as a matter of principle, as a matter of self-respect. Read as a nourishing staple of life." ~ David McCullough Jr.
3. 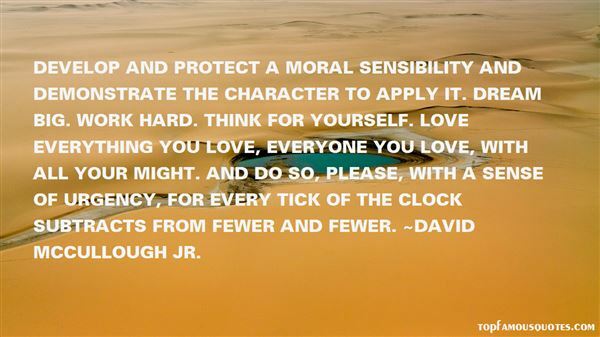 "Develop and protect a moral sensibility and demonstrate the character to apply it. Dream big. Work hard. Think for yourself. Love everything you love, everyone you love, with all your might. And do so, please, with a sense of urgency, for every tick of the clock subtracts from fewer and fewer." ~ David McCullough Jr. The truth is that relative income is not directly related to happiness. Nonpartisan social-survey data clearly show that the big driver of happiness is earned success: a person's belief that he has created value in his life or the life of others."